Freedom: The Sequel to Slave is the emotional story of Mende returning home to visit her family. After days of anticipation and worry for whether her family would make the dangerous journey from Karko to Kauda Mende is finally reunited with her family after 14 years of separation. Freedom was incredibly moving and shocking in some parts. It is a real eye opener to not just the atrocities in Sudan but wordwide. Though I was impressed with the author's first book "Slave". I was unfortunately disappointed with this sequel. I found the whole thing terribly disjointed. I respect the effort to bring attention to the horrible situation in Darfur and found this much enlightening. There was however far too much trivial filler material that actually became quite tedius to slog through. The text was also full of distracting typographical and grammatical errors due to what was obviously poor editing.Unfortunate second effort. 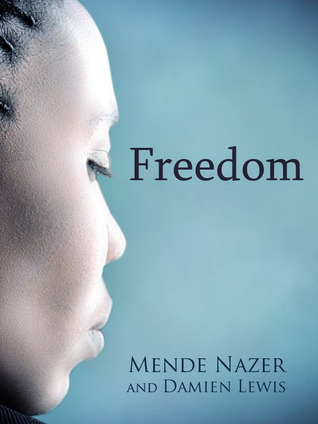 Kindle - This is a continuation of Mende Nazers life after (Slave) and her first trip back to the Nuba mountains to see her family after 14 years. They had to meet in a neutral area and her family had to travel from (Karko) Sudan, through rain swollen rivers and roads to reach her. It was a great story of their getting to know one another once again, and of the area and people where they met, (Kauda) Sudan. This book was somewhat less compelling, however equally emotionally stirring. More really should be done with regard to the plight of the peoples in the Sudan. I believe that more interest could have been paid to many of the cultural norms and a bit more time devoted to the family of Mende, and some of thier plight as they begin to make life more normal for them. I couldn't get through it. There were way too many insignificant details that it just got to be too much. Slave was gripping, but this one missed the mark. Harika bir kitap. gerçek olması, olayların oldugu gibi anlatılması okunurlugu kolaylaştırmis. Not as good as Slave, but I had to read it. Mende Nazer Damien Lewis - ”Mende Nazer lost her childhood at age twelve, when she was sold into slavery. It all began one horrific night in 1993, when Arab raiders swept through her Nuba village, murdering the adults and rounding up thirty-one children, including Mende.Mende was sold to a wealthy Arab family who lived in Sudan’s capital city, Khartoum. So began her dark years of enslavement. Her Arab owners called her “Yebit,” or “black slave.” She called them “master.” She was subjected to appalling physical, sexual, and mental abuse. She slept in a shed and ate the family leftovers like a dog. She had no rights, no freedom, and no life of her own.Normally, Mende’s story never would have come to light. But seven years after she was seized and sold into slavery, she was sent to work for another master—a diplomat working in the United Kingdom. In London, she managed to make contact with other Sudanese, who took pity on her. In September 2000, she made a dramatic break for freedom.Her book, Slave is the story of her abduction and 'imprisonment' in slavery- a story which is almost beyond belief. It depicts the strength and dignity of the Nuba tribe. It recounts the savage way in which the Nuba and their ancient culture are being destroyed by a secret modern-day trade in slaves. Most of all, it is a remarkable testimony to one young woman’s unbreakable spirit and tremendous courage.